Revit 2018 Was Just Released. What This Mean to Architecture. Revit 2018 Was Just Released. What This Means to Architecture. 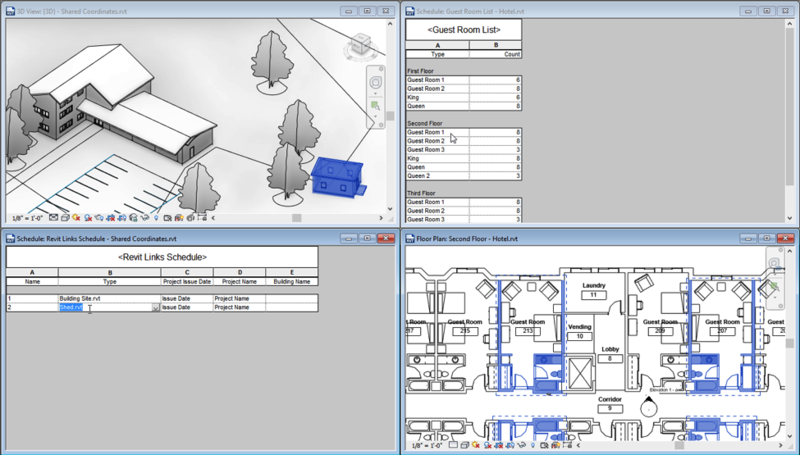 Springtime has arrived here in North America and with it a new release of Revit has just been released as well. So what does the 2018 version of Revit have in store for us? I’ll focus here on platform and Architecture. If you use Revit for Structural or MEP, I will direct you to the Autodesk website to learn more about what new features are included for those disciplines. Let’s start with the “platform” features. Platform are those features that are part of the Revit core and useful to all disciplines. Platform enhancements improve interoperability with outside file formats like DWG, Navisworks, Rhino 3DM and ACIS SAT files. You will also experience improvements to scheduling, global parameter and text functionality. New improvements to Architecture include significant enhancements to stairs and railings. Let’s explore each of the most significant new features. With Building Information Modeling (BIM) widely used by most firms in the building industry, most of these firms rely on multiple tools to perform their daily tasks. Revit is certainly the primary BIM authoring application for many firms, but there are many other tools in wide and regular use as well. This means that they will appear in the model and show in all Revit views, but you cannot edit the models or snap to their geometry. Furthermore, they will display in the native Navisworks shaded display as coordination models use the native Navisworks engine to render. To add or manage a coordination model, there is a new “Coordination Model” manager dialog that you can find on the Insert tab of the ribbon. Click this button and to display the “Coordination Model” dialog: a nicely modernized version of the “Manage Links” dialog. Most of the same functions available from the existing manager (Add, Reload, Reload From, Unload and Remove) are available here for coordination models. Like other links, coordination models can store relative or absolute paths to the original file. 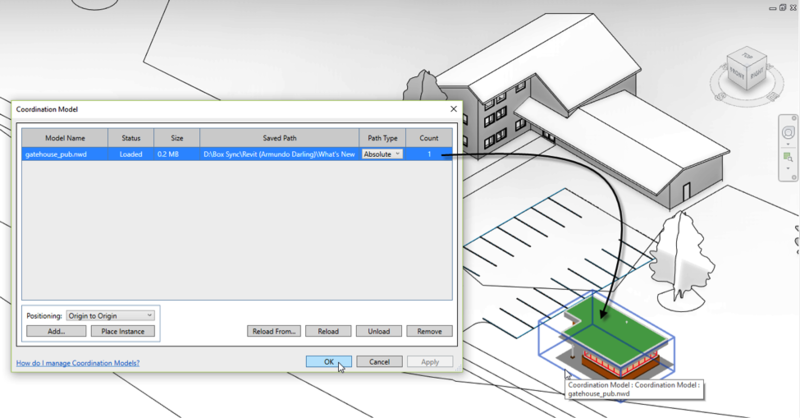 Linking Navisworks files is not the only area where working with files in non-Revit formats has been enhanced. The mid-year release of Revit (called Revit 2017.1) introduced the ability to import files saved in the popular Rhino 3DM format. Imports in the ACIS SAT file format were also enhanced. Imports of SAT and 3DM files are considered “Direct Shapes” under the hood in Revit. While we are limited to the use of the Import tool for these formats, there is much powerful functionality to be excited about with direct shape imports. First, when you import a direct shape SAT or 3DM you get to assign it to a Revit category! This means that these imports will display and schedule like any other element of the category you choose. In this release we can now host face-based elements to faces of the imported Direct Shape geometry, we can tag Direct Shape imports and dimensions will see the edges of Direct Shapes making them easier to incorporate into your documentation packages.And if you assign the Direct Shape to a category that supports connectors, you can now apply connectors to Direct Shape models used in custom family content as well. This might be my favorite new feature in 2018. This is a longstanding requested feature: Revit 2018 has added Model Groups and RVT Links to Schedules. This means you can now create a complete list of all the Revit links or Model Groups in your project with just a few clicks. If you use groups to manage repetitive design elements like typical office layouts, apartment units, dorm rooms, hotel guest suites, or any other typical design condition, this new feature will aid in management of these design items. Think of how easy it will be to get a quick count of how many of each type of unit is used in an apartment building or hotel. Furthermore, you can use the schedule to help you locate individual instances and make modifications like you can with schedules in other categories. Both the Model Groups and RVT Links categories are limited to just a few built-in fields when you first generate the schedule. This includes: Type, Reference Level, Origin Level Offset and Count for Model Groups and: Type, Name, Room Bounding and Count for RVT Links. If you need additional information in these schedules, another new enhancement is that both of these categories support the creation of custom parameters that can appear in the schedule. You can create them with the Project Parameters button on the Manage tab, or simply click the New Parameter icon in the “Schedule Properties” dialog. Being able to add custom parameters to these new schedule types makes them even more powerful and makes their usefulness potentially limitless. It seems like every file format supported for import and linking in Revit was touched in this release. Well, not to be outdone, even the DWG format received a new enhancement. 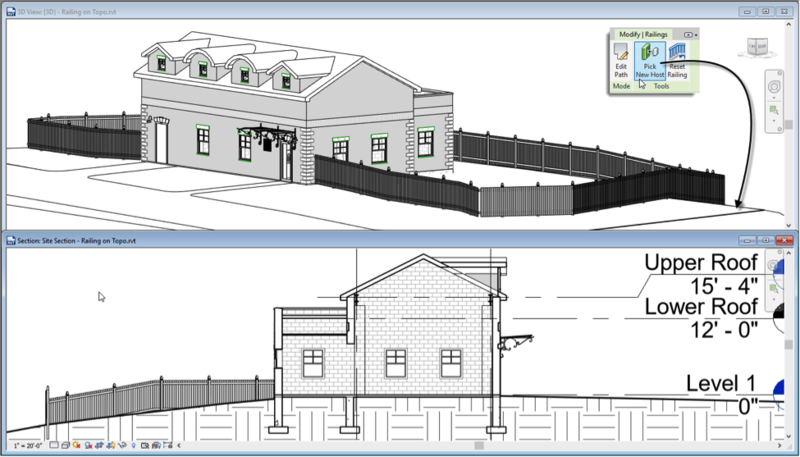 Collaborating with other disciplines often involves sharing files in the AutoCAD DWG format. This is especially true when working with Civil Engineers. In our GPS connected World, most Civil created DWG files have some sort of geo-referenced coordinate system associated with them. Revit will now see and report these geo-referenced coordinates if they exist in the DWG file. 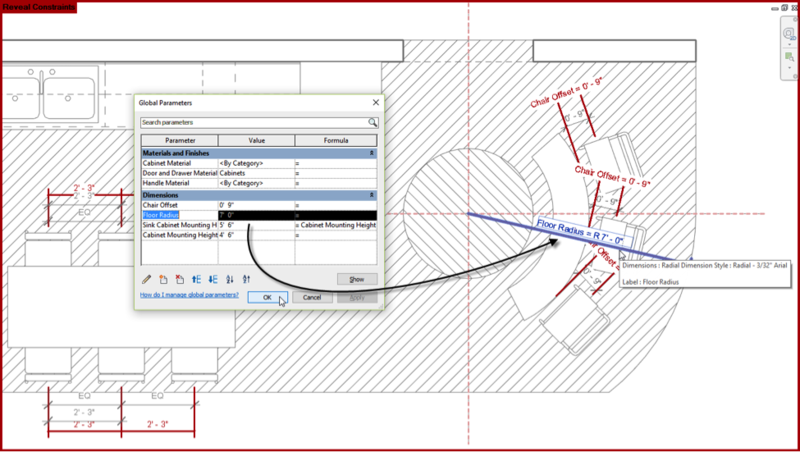 To see the geo-referenced coordinates, simply acquire coordinates from a linked DWG. They will appear on the Properties palette when the Survey Point element is selected. Global Parameters allow named constraints to be applied to distances and parameters within the project environment. With global parameters, the parametric qualities of the family editor are made available directly in projects. 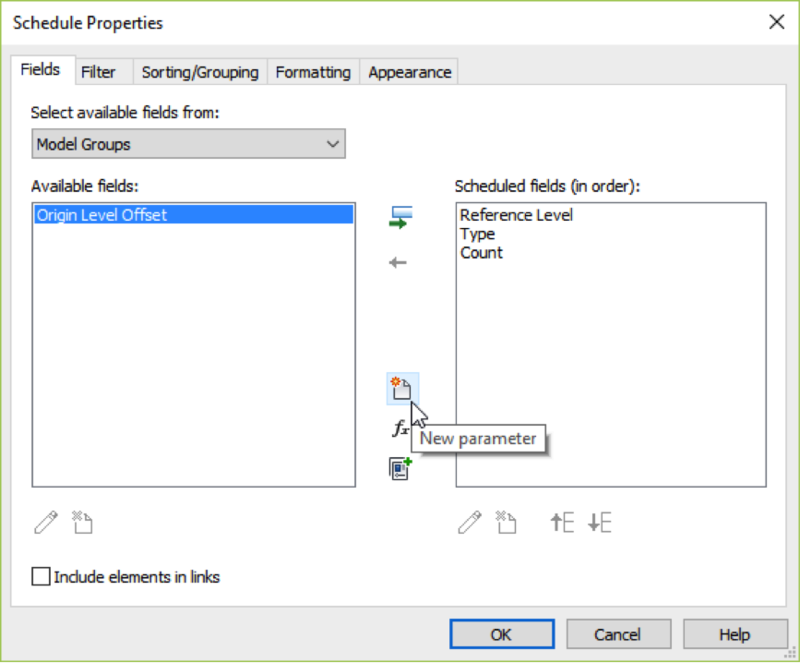 Using global parameters, you can define critical “hold” dimensions and flex several labeled dimensions at once from the “Global Parameters” dialog. Previously only available to label linear dimensions, in this release you can now label radius and diameter dimensions. 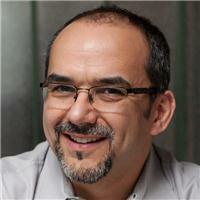 This expands the usefulness and control afforded by the Global Parameter functionality. For longtime Revit users, 2017 was the release that finally saw the long requested new text editor. Naturally this provided a big improvement to the general text editing capabilities of Revit. But there remain certain areas for continued improvement. Two such areas have been addressed in this release. We can now access the complete character map of any installed font and add symbols directly within text note elements with a simple right-click. You can access other symbols not shown on the list by choosing the “Other” item from the right-click menu. This opens the Windows™ “Character Map. Choose a font, select one or more symbols and then click the Copy button. Paste these into a new text element. Each Revit text note can only use one font at a time, so if you want to use symbols from a different font, make sure to duplicate the text type and assign it to the desired font. In addition to symbols, another improvement to text is that the transition to the new text editor now includes tags and titleblocks. In 2017, these items still rendered using the old engine. This meant that text notes next to tags could look completely different even if they were assigned to the same fonts. This is no longer an issue. Both text notes and annotation elements use the new text editor and render identically. All the previous features are considered “platform” because they benefit all users of Revit regardless of their discipline. If you use Revit as an Architect, you are probably wondering what’s new in architectural functionality. The main architectural features in this release are focused on stairs and railings. For stairs, we have the new “Multistory Stair.” This replaces the previous “Multistory Top Height” parameter that stairs had. So now when you create a multistory stair, it copies the selected stair geometry up to all selected levels and groups the stairs based on their heights. All stairs in a multistory stair that belong to levels of the same height will behave as a group. This means that changes you make to one stair in the height group will propagate to all of the other instances. If level heights change, stairs will automatically adjust to the new height rather than generate warnings as they previously did. 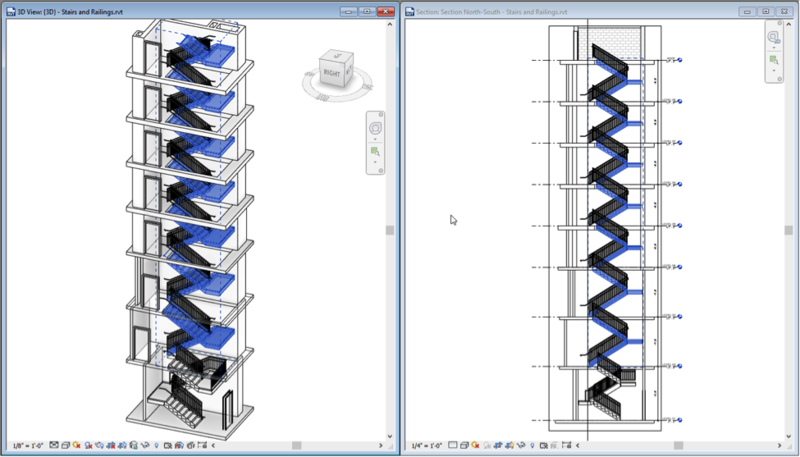 There are plenty of opportunities to customize the multistory stairs as well like unpinning individual stairs from their height groups in order to make individual overrides, adding and removing levels from the multistory stair and of course changing level heights and stair configurations and having those changes automatically apply to the entire multistory stair. Railings have also received several enhancements. First, they fully support multistory stairs. So with a single click, you can add a railing to the entire multistory stair or a portion of it using the tab key. Next, sketching railings is greatly simplified in this release. Simple sketch the overall path you wish the railing to follow and Revit will figure out if it should be sloped or flat along the sketch. You no longer need to sketch several small sketch lines and assign each one a slope settings. Finally, railings can now be hosted to toposurface elements. This makes it easy to create fencing and other site improvements! It is nice to see the continued attention to stairs and railings over the last few Revit releases. This is a common pain point for many users and each of these new features are welcome enhancements. Want to learn more about the features covered in this article, be sure to check out my newest course on LinkedIn Learning: Revit 2018: New Features for Architecture.